In the aftermath of a battle a ship drifts helplessly in space. Is the strange new warship they were fighting still out there? Will it come back for them? Commander Johnson faces a race to get her destroyer back into action and save her crew. 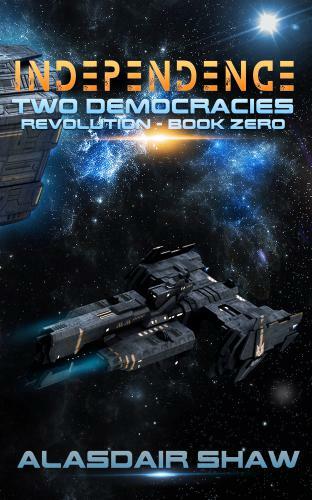 'Independence' is a short story (6000 words) in the Two Democracies: Revolution series.